Fighters History - FLYING TIGER ENTERTAINMENT, INC. 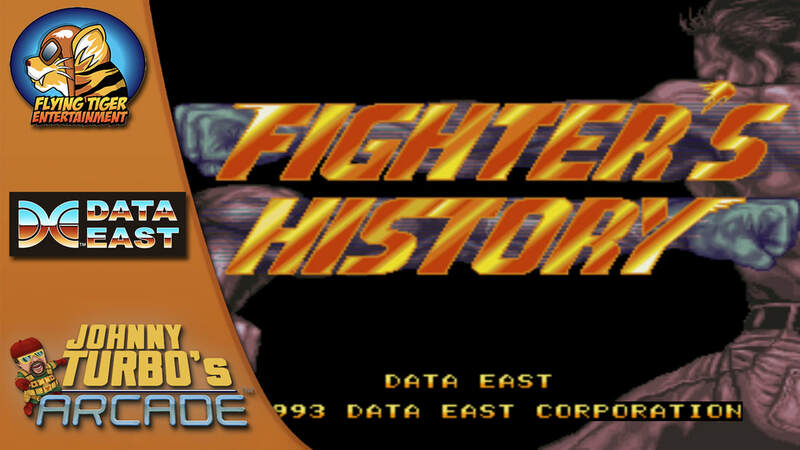 Flying Tiger’s Johnny Turbo’s arcade releases the 1990’s arcade classic, Fighters History for Nintendo Switch Now! Los Angeles, CA - November 15, 2018 – Flying Tiger Entertainment presents the Japanese arcade hit, Fighters History, the next action game release from Johnny Turbo’s Arcade, featuring classics by Data East™. 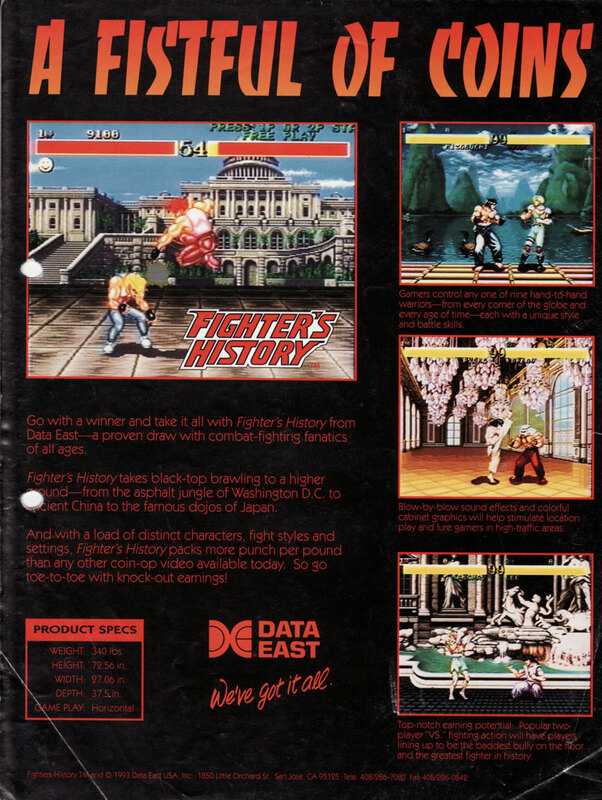 The main unique feature Fighter's History is its "weak point system". By repeatedly hitting an opponent's weak point, the player can temporarily stun them once per round, leaving the opponent open for an attack. The location of an opponent's weak spot varies with each character and is usually represented by a specific article of clothing (i.e. : a headband, a vest, a mask). After an opponent's weak point is exposed, hitting it will also cause the opponent to sustain greater damage when the weak point is repeatedly struck afterward.